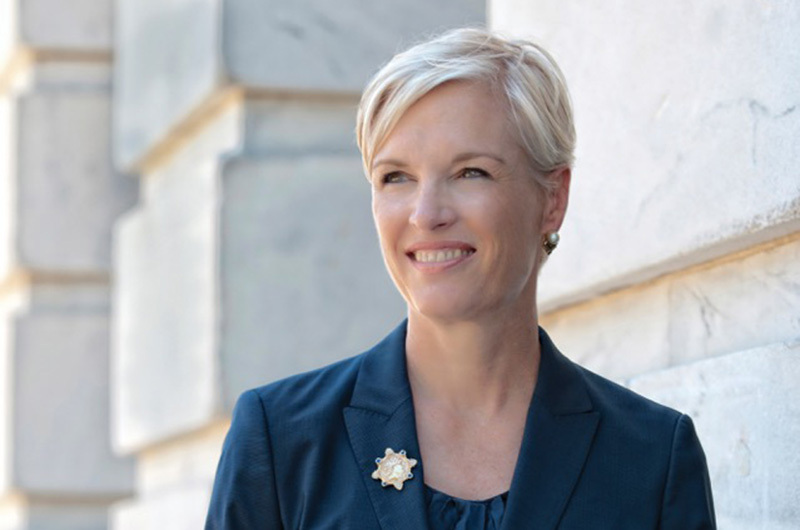 Cecile Richards wil speak at the Chilmark Community Center on August 5 at 7:30 p.m.
Cecile Richards, president of the Planned Parenthood Federation of America for more than a decade, will be the featured speaker at the next Author Series event at the Chilmark Community Center on Sunday, August 5. Ms. Richards will interviewed at the event by Alexandra Styron. Ms. Richards grew up in Texas, and is the daughter of former Governor Ann Richards. In addition to her work with Planned Parenthood she is on the board of the Ford Foundation, was one of the founders of America Votes, and was deputy chief of staff to Nancy Pelosi. The event on Sunday begins at 7:30 p.m. Visit mvbookfestival.com.